Little Joe's launch vehicle was launched for the first time on Oct. 4, 1959. 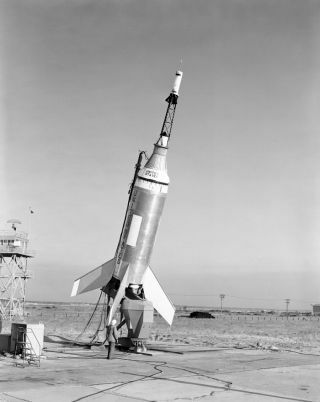 In this historical photo from the U.S. space agency, the launching of the Little Joe launch vehicle, on October 4, 1959, took place at Wallops Island, Va. This was the first attempt to launch an instrumented capsule with a Little Joe booster. Only the LJ1A and the LJ6 used the space metal/chevron plates as heat reflector shields, as they kept shattering. Little Joe was used to test various components of the Mercury spacecraft, such as the emergency escape rockets.